Transformers change the current and voltage passing from one circuit to another. 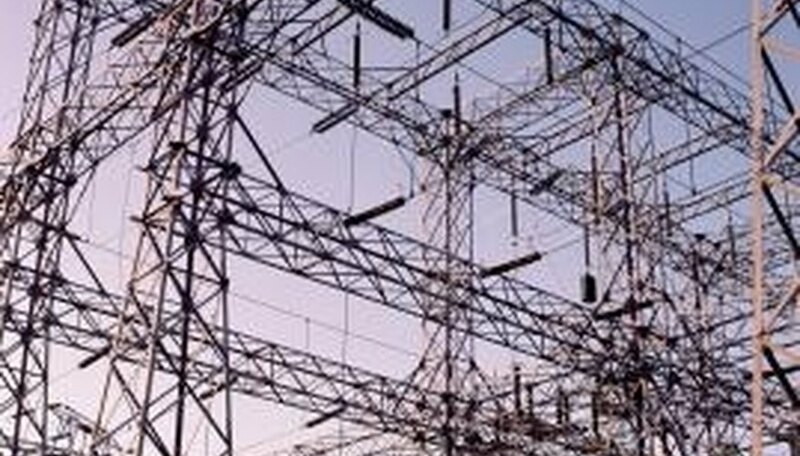 The transformer includes a magnetizable material, called a “core,” that connects a primary circuit to a secondary circuit. The primary passes its energy to the secondary through the core by wrapping several times around the core. The secondary receives energy from the primary through its own coil around the core. A step-up transformer increases voltage while reducing current. Examples of the need for a step-up transformer are a cathode ray tube screen requiring thousands of volts while being plugged into a 110V socket or a European appliance (made for 220V) being run on a 110V U.S. outlet. Strip two long (around two feet each) coated wires at the ends. The wires need not be the same length, but should be the same in all other respects (same coating, same width, same material). The secondary will have more windings around the magnetizable material, or “core,” in order to step up the voltage. To make sure the coil winding counts are comparable, the wires need to be the same. 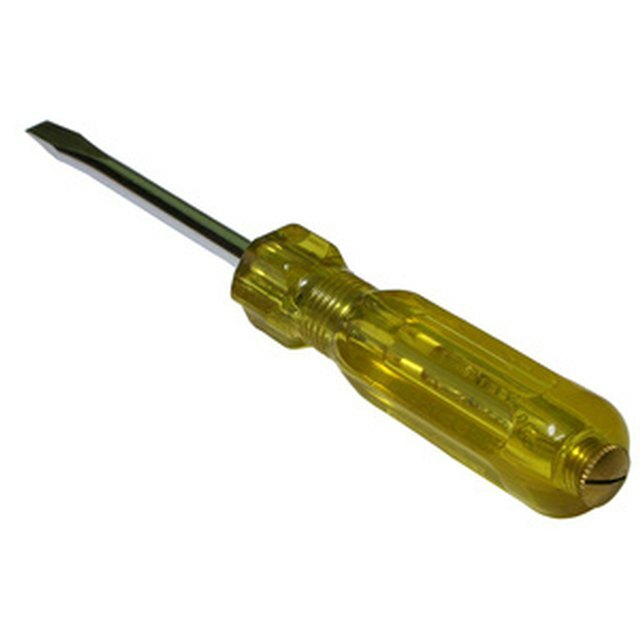 Use a steel screwdriver or large bolt as the core. If it’s made of steel, it will contain mostly iron and be magnetizable. Test it first for magnetization by holding a kitchen magnet to it. If the magnet sticks, the core is usable. Wind the two wires several times around separate parts of the core. The spacing doesn’t really matter. What matters is how many windings there are. The secondary circuit’s winding should have more loops than the primary coil. If you want the secondary to have twice the voltage and half the current, then put twice as many turns into its coil. Attach the bare ends of the secondary to the two metal terminals of a bulb. Use electrical tape to hold them in place if necessary. Make sure they don’t touch. A short may prevent the bulb from lighting. Insert the bare ends of the primary into a wall socket. Remove them immediately if you smell burning. This is unlikely though, since the alternating of the dipoles in the core should provide enough resistance to prevent too high of a current. If you do smell burning, check for contact between bare wires that could be causing a short circuit. Cover the bare wire with electrical tape and try again. Notice that the core now functions as an electromagnet, picking up metallic objects. Change the ratio of windings between the primary and secondary coils (but not with the primary plugged into the wall). Power loss equals current-squared times resistance. By increasing the secondary coil turns, relative to the primary coil turns, the secondary voltage will go up, the current down and, therefore, the luminosity will go down too. Dohrman, Paul. "How to Make an Electrical Step-Up Transformer." Sciencing, https://sciencing.com/make-electrical-stepup-transformer-5509667.html. 24 April 2017.